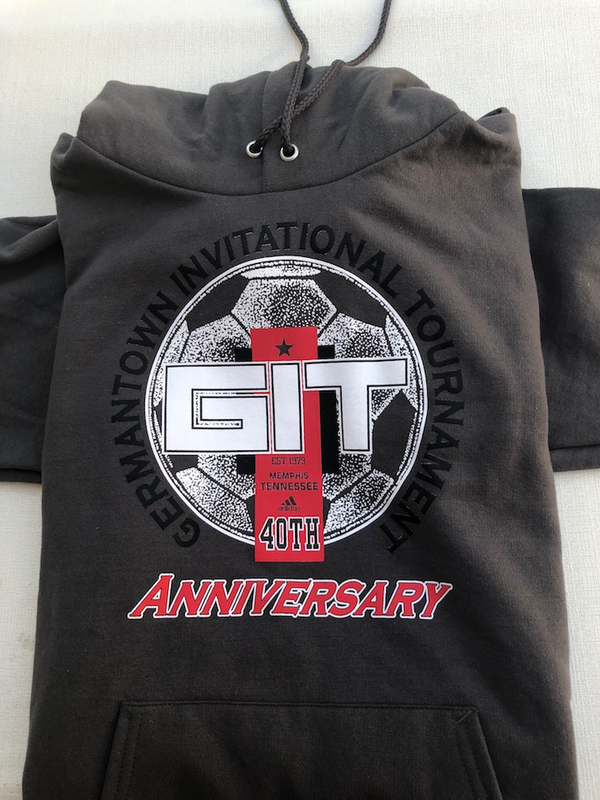 Memphis Futbol Club's Germantown Invitational Tournament (GIT) invites you to one of the region's premier events! Since the GIT's inception in 1979 it has grown to a 500+ team tournament that now is spread across 4 weekends just to handle the number of teams. U9-14 Boys, U9-14 Girls, Showcase Boys, Showcase Girls are the different weekends and we currently use Memphis' 17 field premier facility that is Mike Rose Soccer Complex in Memphis, TN to play the weekends. We host the most diverse competition of any tournament in our city and some of the countries best teams and regularly come to compete. Regular attendees are state, regional, & national champions/finalists as well as ODP teams, & international teams. For the Showcase Boys & Girls we host over 100 college coaches each year offering players a tremendous scouting opportunity. Come join us for the amazing and diverse competition that will be the perfect finish to your fall season! Each guest player must have a laminated player card. Maximum 3 guest players for U9-U12 and maximum 5 guest players for U13-U14. BUILD OUT LINES: A build out line will be painted on each side of the 7v7 fields, from sideline to sideline. This line will be set at 20yds from the goal line. This line is required for 7v7 play at the U9, & U10 age groups. The minimum distance is 14yds from the goal line and the maximum distance is the half way line, we have chosen to split the difference between the penalty area and the half way line. The build out line is used to promote playing the ball out of the back in an unpressured setting. HOW DOES THIS BUILD OUT LINE WORK? When the GK catches the ball and has possession in hands the opposing team must drop behind this line (between build out line and halfway line or further). When played out or dropped into play at the GK feet the opponent may again play freely. On a goal keeper save (through the run of play) the players on the opposing team, need to go behind the build out line (between build out line and halfway line or further) to allow/permit the goalkeeper to play the ball wide to their teammates or to play to himself before the opponent may make play on the ball. As soon as the ball is in play to teammate or self, the opponent is free to engage regardless of where they are. For example, if the GK chooses to restart quickly and the opponent has not made it back to the build out line they need not run all the way back. They may immediately engage the ball due to the quick restart of play. GOAL-KICK: On a goal kick all players for the opposing team need to be behind the build out line (between build out line and halfway line or further) before the kick is taken. GK teammates do NOT need to be behind the build out line. Keepers may choose to do a short or long goal kick as it pertains to the normal rules of play. i.e their goal kick may go beyond the build out line with no infraction. Furthermore, Keepers may choose to restart quickly even if the opponent has not made it all the way back to the build out line. Opponents may immediately engage the ball due to the quick restart of play. BALL IN KEEPERS HANDS: Opposing team players must begin to drop behind the build out line. KEEPER DROPS BALL AT FEET TO DRIBBLE OR PASS: The play is now live even if opposing team has NOT dropped behind the build out line. KEEPER ROLLS BALL OUT TO TEAMMATE: Play is live, and the opposing team may now approach. KEEPER THROWS THE BALL BEYOND THE BUILD OUT LINE: Play is live. OFFSIDE: Are there still off-sides in 7v7? YES. In the 7 vs 7 format, a player can only be offside between the oppositions build out line and end line. A player cannot be offside between the halfway line and the oppositions build out line. *** • In the 9 vs 9 format, offside can ONLY occur between the half way line and the opposition team’s end line. In 11v11 it follows FIFA laws as normal soccer. PUNTING: Punting the ball will not be allowed and an Indirect Free Kick will be awarded to the opposing team at the place of infraction. PUNTING: Punting the ball will be allowed for U12's, not for U11's. 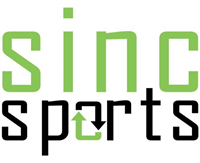 HEADING: There will be no Heading allowed in any U9, U10, or U11 age groups. U11 age groups playing 9v9 will NOT be allowed to head the ball (Please see below for scenarios and infractions). U12 age group playing 9v9 WILL be ALLOWED to head the ball. If in the referee’s opinion a player intentionally attempts to deny a goal scoring opportunity by “heading” the ball and the ball enters the goal without being played by another player .... Goal is allowed and player cautioned. If in the referee’s opinion a player intentionally attempts to deny a goal scoring opportunity by “heading” the ball and the ball does not enter the goal .... Referee immediately stops play, player is shown a yellow card and the restart is INDIRECT FREEKICK if outside the penalty area and PENALTY KICK if inside the penalty area. (Under no circumstances is the referee to allow “advantage” to another offensive player touching the ball when the ball is “headed” either intentionally or not). If in the opinion of the referee a player intentionally “heading” the ball (not denying an obvious goal scoring opportunity) ... play is stopped an INDIRECT FREEKICK awarded to team last in possession at the spot of infraction but not closer than the goal box area. If in the referee’s opinion a player inadvertently ”heading” the ball ... play is not stopped as no infraction occurred. A. Players must wear numbers on the back of their uniforms and these numbers shall coincide with those listed on the teams’ official GIT approved roster. B. If in the opinion of the referee uniform colors are similar, the designated HOME team will change colors. HOME team is listed first on the schedule. The home team is encouraged to wear light colored jerseys. HOME TEAM SHOULD WEAR LIGHT COLORS. C. The designated home team shall provide the game ball, unless tournament ball is available. A. Players, coaches and spectators are expected to conduct themselves within the spirit and the letter of the Law. Displays of temper or dissent are cause for ejection from the game and surrounding field area. B. Players, coaches and team officials ejected from a game by the referee shall be ineligible for the next scheduled game. Any player or players ejected for fighting shall be ineligible for the remainder of the tournament. All ejected players/coach’s cards will be held at soccer central until after suspension is served. C. All players and coaches will take one side of the field, and supporters will take the other side. No one will be allowed behind either end line. On the 7v7 & 9v9 Fields all teams and parents will sit on the same side. Games will be scored (3) three points for a win, (1) point for a tie and (0) zero points for a loss. If a bracket winner and a wildcard team (Best second place team overall) come from the same division, they will be switched so the bracket winner plays the lowest seed division winner from another bracket. 5. Most total goals scored. In the case of a three-way tie in bracket play, one team shall be eliminated through the above tiebreakers and then the remaining two shall begin from tiebreaker number A2 above. All tied matches will go straight to penalty kicks. FIFA rules. Only players on the field of play at the end of regulation may participate in taking of the penalty kicks. A. A team shall be allowed a 10-minute grace period after the scheduled kick-off time before the match is awarded to their opponent. A minimum of 7 players constitutes a team and if 7 players are present, the game will not be delayed. B. In no case shall a team that forfeits a game be declared a division winner or wild card team. If an apparent division winner forfeits a game, the division team with the next best record shall be named the division winner. C. If a team is the cause for termination of a game, that team will be considered to have forfeited that game. D. A forfeit in the preliminary rounds shall be awarded as 3 points for the win to the opposing team. Forfeits of games in the playoff rounds shall be recorded as 1-0 scores. The tournament committee reserves the right to cancel or reschedule games or the entire tournament due to inclement weather conditions. If the event is canceled entirely (before the games have kicked off) because of weather, $175 of your entry fee is non refundable and the rest will be sent back. Teams will be refunded per game if the event starts and they play only one or two games. There is no in person check in. Link below, 11/14 deadline. Mike Rose Soccer Complex will assist you with your hotel reservations. This service is being provided to simplify the hotel reservation process by decreasing the number of phone calls and saving you time. By submitting a Hotel Request Form at the link below, the MRSC Hotel Division will provide you with the room availability to all of the hotels on our Preferred and Approved list.